SAVANNAH, Ga. — Members of the Savannah State University National Alumni Association Savannah Chapter will participate in the Coastal Empire/Savannah March for Babies on Saturday, April 30. As a part of the event, chapter members will complete the 3.1 mile walking course at Daffin Park, beginning at 9 am. The chapter accepted the March of Dimes’ fundraising challenge of $1,000 to show their dedication to giving all children a healthy start in life. 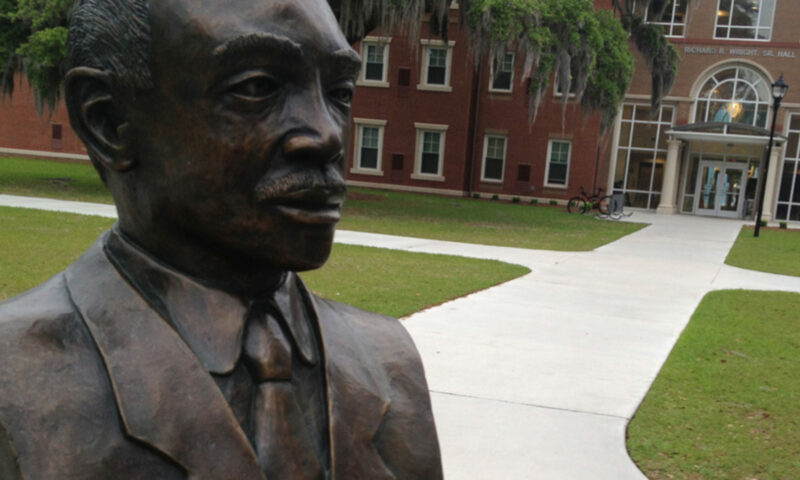 The overall Coastal Empire/Savannah goal is $200,000. “The SSUNAA would like to commemorate this walk and support the March of Dimes organization in their efforts to help premature babies receive the care they need to live a healthy and happy life” said Clyde Newton, the 2016 Team Walk Captain and the SSUNAA’s national president. 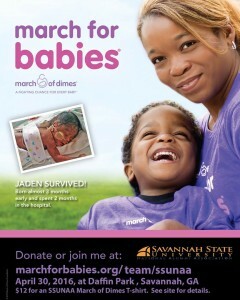 Donations for the SSUNAA Savannah Chapter team can be made online at www.marchforbabies.org. Additionally, T-shirts to support the event can be purchased online or on-site for $12 (small-XL), $13 (XXL), or $14 (XXXL).